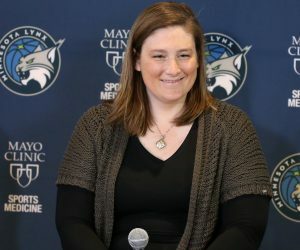 Friday night’s game between the Minnesota Lynx and the Washington Mystics will feature two of the top four teams in the WNBA. 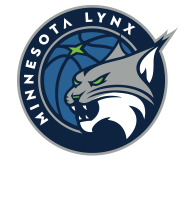 The Lynx stand atop the league at 9-1 overall, while the Mystics are tied for third with a 7-4 record. 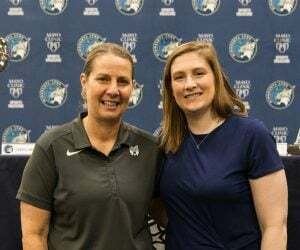 The matchup will also include two MVP-Caliber players in Minnesota’s Sylvia Fowles and Washington’s Elena Delle Donne. Former teammates with the Chicago Sky, Fowles and Delle Donne have yet to play against each other this season. 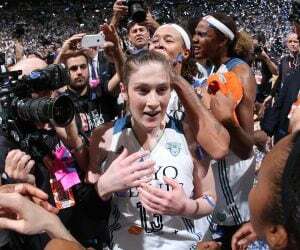 Delle Donne was unable to play in the June 9 game (Lynx won 98-73) in the nation’s capital due to an injury. That is set to change on Friday night. Although the two won’t likely be matched up against each other in the game – with Fowles lining up at the center position and Delle Donne primarily at power forward – both players certainly have the ability to take over a game at any given moment. Fowles is having one of her best seasons, if not the best season, of her career in 2017. Entering Friday’s game, Fowles is averaging 20.9 points, 9.8 rebounds, 2.1 steals, 1.9 assists and 1.7 blocks per game. She ranks second in the WNBA in scoring, second in rebounding, second in steals and fourth in blocks. In her first season with the Mystics, Delle Donne is averaging 20.4 points, 6.7 rebounds, 1.6 assists, 1.6 blocks and 1.2 steals per game. She ranks fourth in the WNBA in scoring, fifth in blocks, 14th in rebounding and 19th in steals. In the latest WNBA.com Race to MVP, which is released every Wednesday during the season, Fowles is listed at No. 1, while Delle Donne is listed at No. 4. Almost two months into the season, Fowles and Delle Donne have been arguably two of the WNBA’s best. It should be fun to watch them go back-and-forth on Friday. 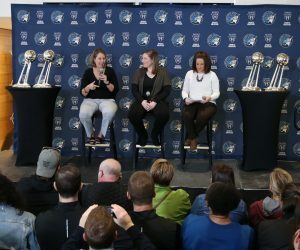 The Lynx and Mystics will square off at 7 p.m. at Xcel Energy Center in St. Paul. The game will be aired on ESPN2 and 106.1 BOB FM.